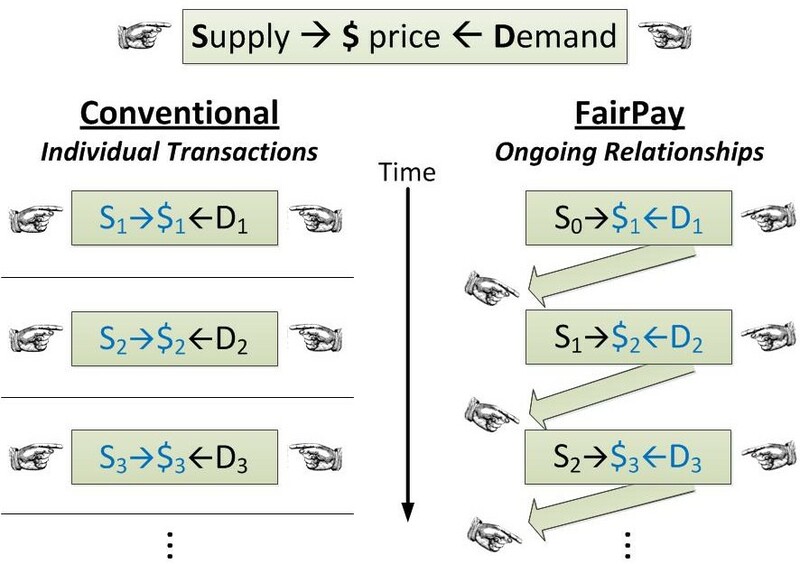 This diagram is intended to depict some aspects of the FairPay pricing process and how it enables dynamically adaptive hybrids of free and paid sales. 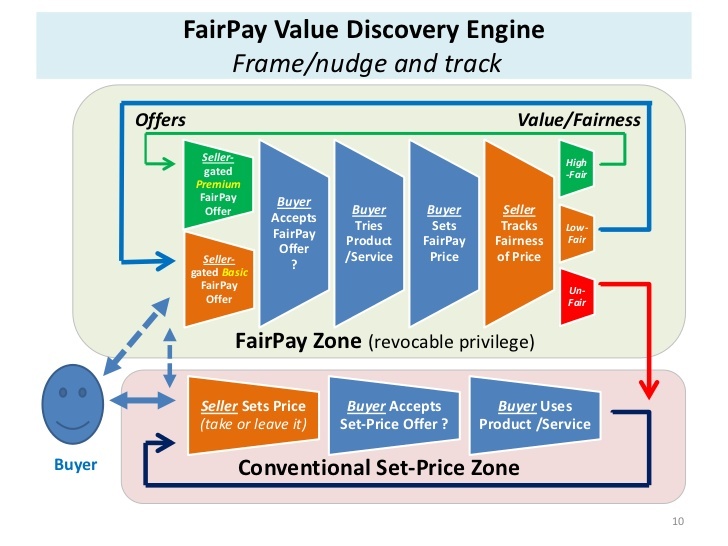 This FairPay Zone is shown above the conventional pay wall to suggest that users are permitted to rise above the pay wall on a provisional basis, as long as he maintains an acceptable FairPay reputation for fairness in their payments, as judged by the seller. 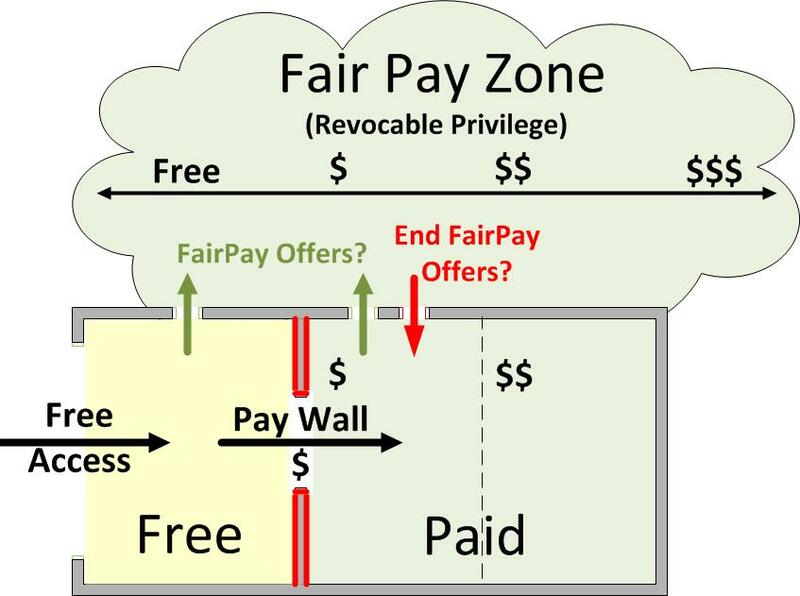 Instead of passing through a rigid pay wall, users may be invited to enter the FairPay Zone. The offer to do so provides the ground rules for Fair Pay What You Want pricing, and the understanding that that freedom is a limited privilege that will be revoked if the results are not satisfactory to the seller (with consideration to any reasons for pricing that might seem unfair). Within the FairPay Zone, there is a flexible range of prices corresponding to usage and value received. 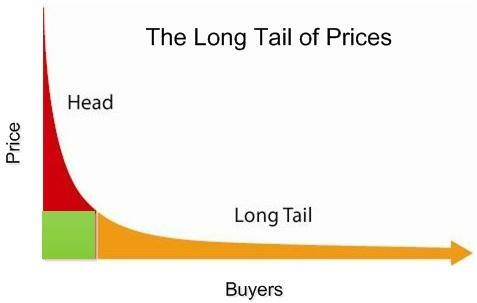 That range is wider and more adaptable than fixed price tiers. 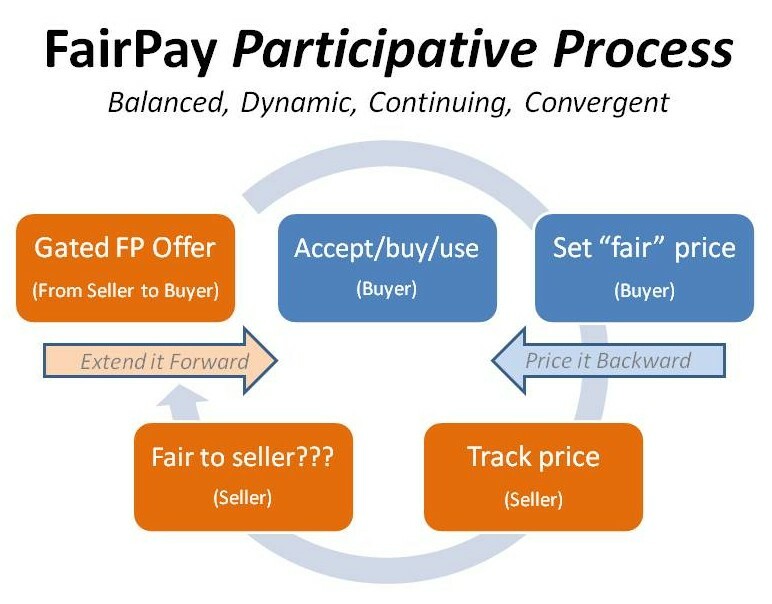 Thus the buyer who is invited into the FairPay Zone can enjoy the freedom to float above the pay wall in an ongoing dialog with the seller, but if his fairness does not justify that privilege, he may find himself bounced back down into the pay wall of "take it or leave it" pricing.